Ruta 40 in Patagonia; a bike touring rite of passage. 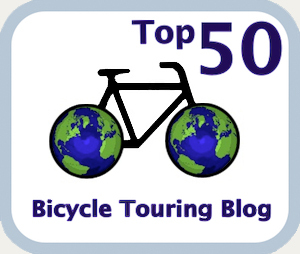 Many cyclists end their Latin American tours in Ushuaia, Argentina’s (and the world’s) southernmost city. 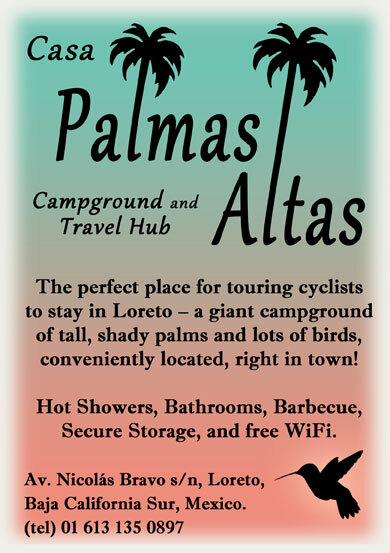 But Ushuaia’s popularity among adventure cyclists is based solely on its location. If it were in the middle of the pampas I’d wager they wouldn’t make any special effort to visit it. Of course, there’s nothing wrong with visiting Ushuaia, not that there’s anything special about the town (other than its map coordinates). 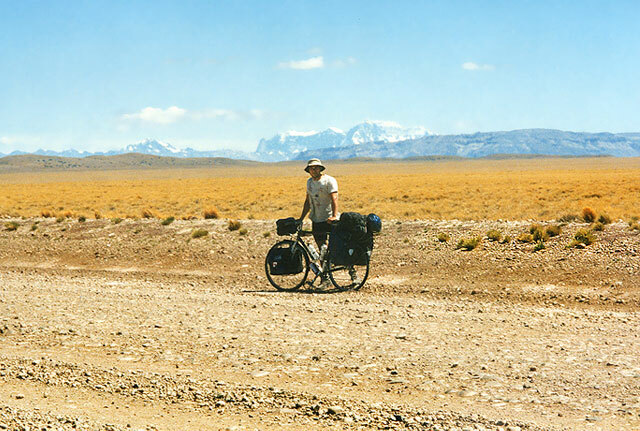 And the ride south on Ruta 40 through the wind-strafed plains of Argentine Patagonia is a bike touring rite of passage. But there’s so much more for you to see in the world’s largest Spanish-speaking country. Both the highest and lowest points in the western hemisphere are found in Argentina (Mt. Aconcagua, 9,659 m; Laguna del Carbón, -105 m). Between these elevations lies the rest of the country, geographically diverse and challenging to tour. Rainbow hills in Jujuy Province. Argentina has some unforgettable landscapes. Stark, Dalí-esque deserts in San Juan. 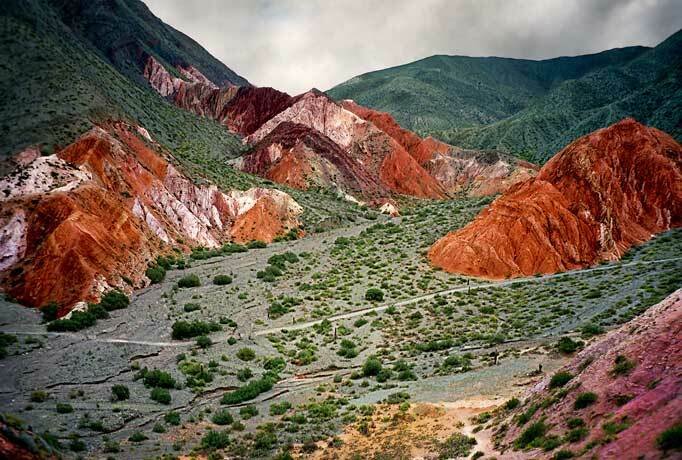 Rainbow mountains in Jujuy. Spires of ice and rock in Santa Cruz. Primeval palm forests in Entre Ríos. Then there are the steaming jungles, yerba plantations, and crimson soils of Misiones, Argentina’s stolen corridor, that ends at one of Latin America’s great spectacles; the Iguazú Waterfalls. Argentina may lack the ancient ruins and mystical appeal of Peru or Mexico, but it has more than it’s fair share of raw, natural beauty. Of course, it’s not all wild views and excitement. In fact, most of Argentina is as flat as a panqueque. The pampas (Argentina’s prairies) may represent the gaucho soul of the nation, but their tedious uniformity will test your resolve. One day is often indistinguishable from the next as you ride this region. Stick with it, however, and you’ll begin to appreciate the friendly people, rural culture, and great food. 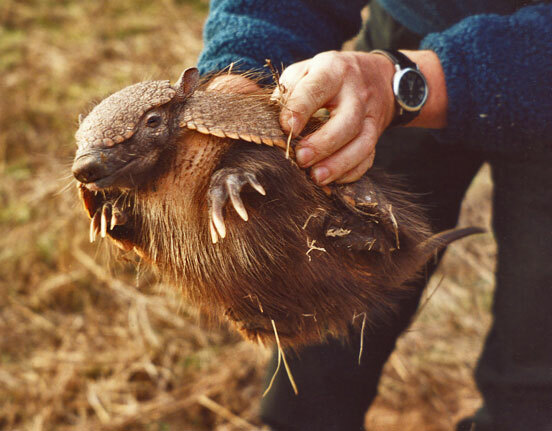 A “piche” on the pampas. Similarly, the southern end of Ruta 3 will grind you down with grey bleakness and occasional views of dull, pebbly beaches. Chance encounters with land and sea wildlife help make up for it. And the Argentine Chaco, while boasting a wealth of exotic animal and plant life, will nonetheless test your tolerance for heat with daytime temperatures often exceeding 40º. Obviously, Buenos Aires is not to be missed as it’s one of the world’s great cities. Just keep your wits about you riding your bike in or near this sprawling, traffic-congested city. Mendoza, Córdoba, Salta, Bariloche, Rosario, Santa Fé, Mar del Plata­ – ­each of Argentina’s cities has its own personality and all are worth visiting. Though I’ve equally enjoyed Argentina’s forgotten hamlets and working towns with their crumbling stone houses and rough, friendly charm. 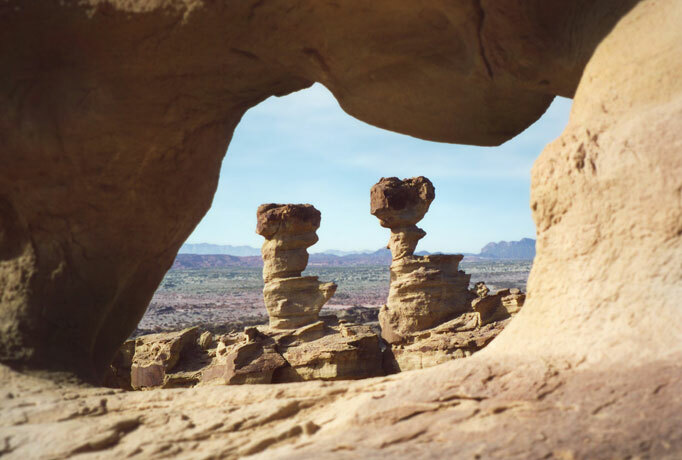 Rock formations in Argentina’s “Cuyo” region in the northwest. Touring a country the size of Argentina requires some endurance. The distances are enormous and even in the most spectacular regions, the roads can sometimes feel long and lonely. But after a tough stretch you can always count on finding a good meal, a good bottle of wine, and a pleasant conversation. Sometimes I find it hard to describe Argentina even though I’ve spent more time here than in all other Latin American countries combined. Argentina is where I ended my first big bike tour. It’s where I found employment, settled down, became bilingual, spent years. I feel very close to Argentina and some of my best friends live here. I even have Argentine relatives and Argentine citizenship (my father was born in Pergamino). I guess it feels too much like home to seem exotic in the way that Bolivia or Guatemala or Brazil seem exotic. This is not a criticism of Argentina. On the contrary it’s more of an explanation for why I struggle to heap as much praise on Argentina as I’d like to: it would feel like bragging. 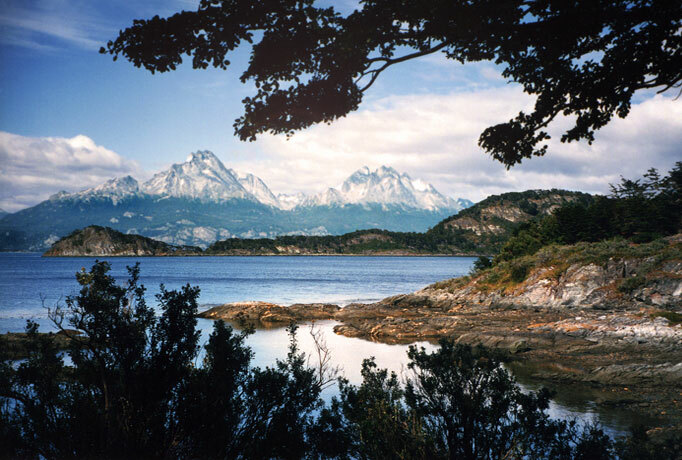 View from the “End of the World” at Bahía Lapataia, Tierra del Fuego. 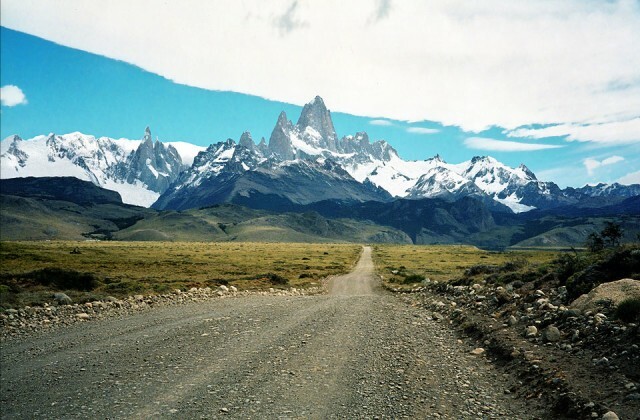 Feature image (top of page): The road to El Chaltén as it appeared when I rode it in the late 1990s. It’s now (of of 2012) fully paved, although the headwind will still be just as brutal as it ever was! 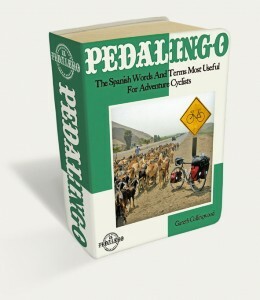 hi Gareth, just read through your website and I thoroughly enjoyed it, even though I have travelled to various countries throughout south America, I felt compared to your good self, I have not touch the surface, I found your website to be informative and interesting, and I admire you for travelling throughout south America on your bike. good luck with your next journey. And thanks for dropping by El Pedalero!